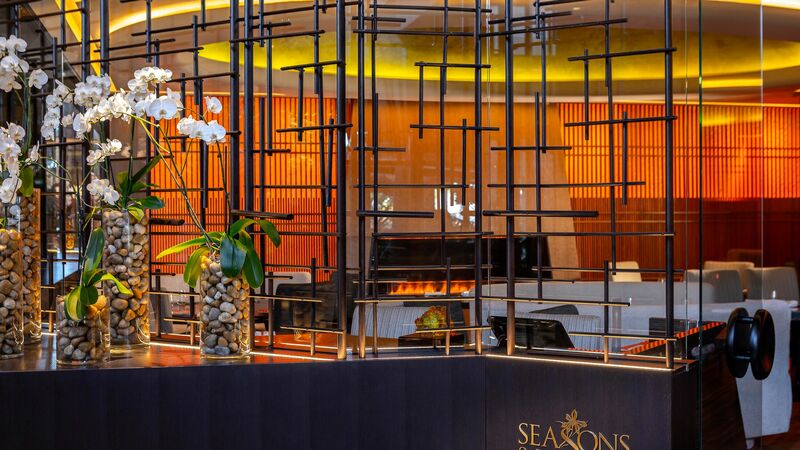 The Four Seasons brand is known for its luxurious accommodation catering to the elite, and the Four Seasons Hotel Limassol is no different. Here you’ll find a spectacular array of facilities and amenities and the best in five star service. 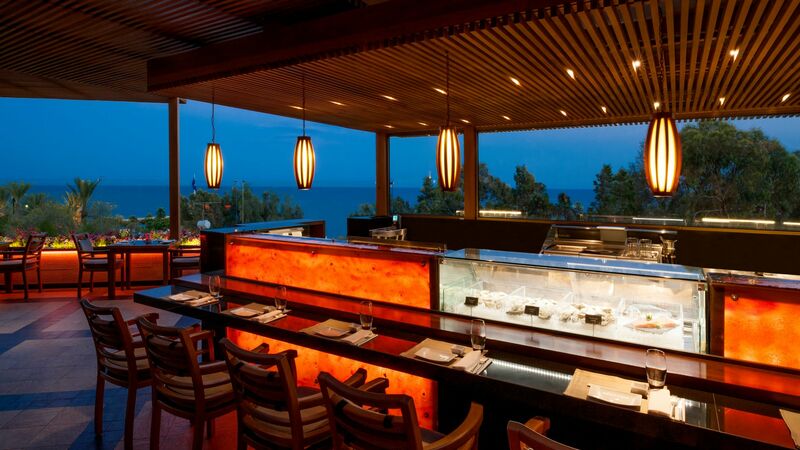 Choose from 10 bars and restaurants and enjoy romantic candlelit dinners, show cooking, and sushi made using locally sourced seafood. Each of the hotel’s rooms and suites is decorated with stylish touches and luxury amenities. Large windows offer bright and airy interiors, with modern technology and staff on hand to ensure your stay is comfortable. Head to the spa, the beach or the swimming pool for a day of relaxation and pampering, while in the evening there is an array of bars to choose from. Hotel child prices apply to ages 2–13 years. The hotel has 296 rooms, 6 floors, and 4 lifts. Specially modified rooms for people with reduced mobility are available on request. 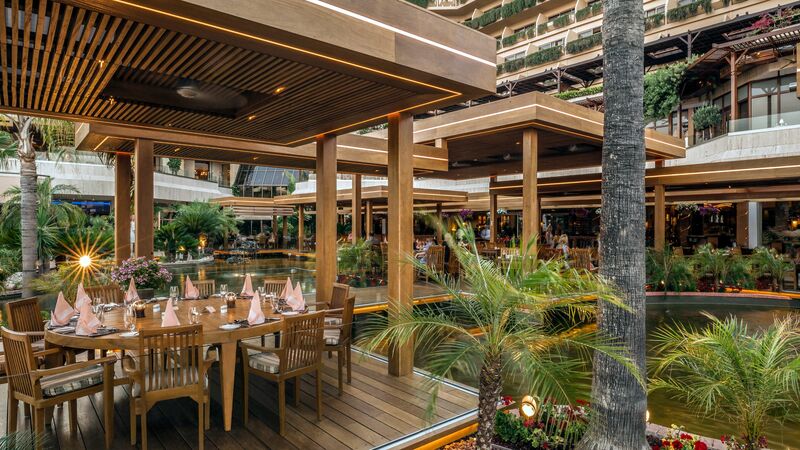 Guests of the Four Seasons Hotel can pre-purchase Dine Around vouchers that allow guests to dine in a range of a la carte restaurants at the Four Seasons and neighbouring Amathus Beach Hotel. Dine around must be pre-purchased before travel in groups of 3, 5 or 7 vouchers per person and a purchase of 5 or 7 vouchers will also include one complimentary lunch buffet. Dine Around vouchers can be used for a 3 course dinner or a set tasting menu (depending on restaurant) at Vivaldi by Mavrommatis Restaurant, Seasons Oriental and the Seafood Bar at the Four Seasons Hotel or at Limanaki Fish Restaurant and the Grill Room at the Amathus Beach Hotel. Choose from delicious items at the restaurants breakfast and lunch buffet, including live cooking stations. In the evening a dinner of salads, sandwiches, tender steaks, fresh fish and a range of international flavours. The beautiful al fresco terrace overlooks the swimming pool, while the interiors offer a tropical feel. Meals at the Café Tropical are included for guests on bed and breakfast, half board and full board. 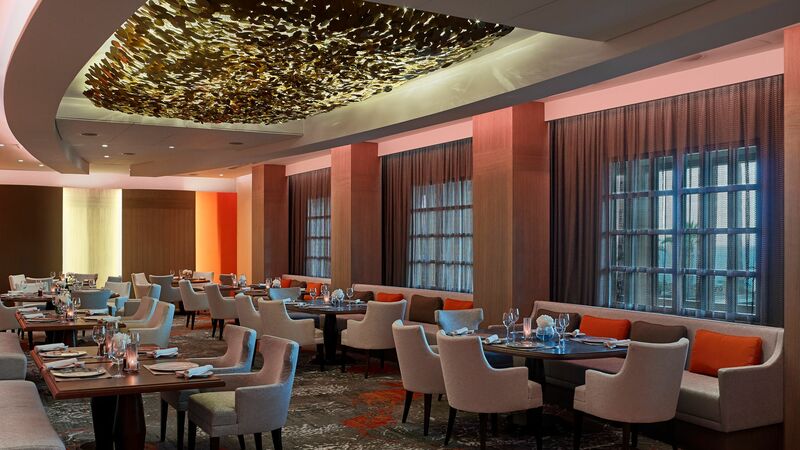 Enjoy modern elegant interiors in this romantic restaurant. Guests can choose from three, four and six course tasting menus carefully designed by Michelin star chef Andreas Mavrommatis. Choices include langoustine, cannelloni, lamb, duck and more, with every dish offering fresh local ingredients and unique twists. Shorts are not permitted in the restaurant, guests who book the Dine Around option can enjoy a three course meal at the Vivaldi by Mavrommatis. 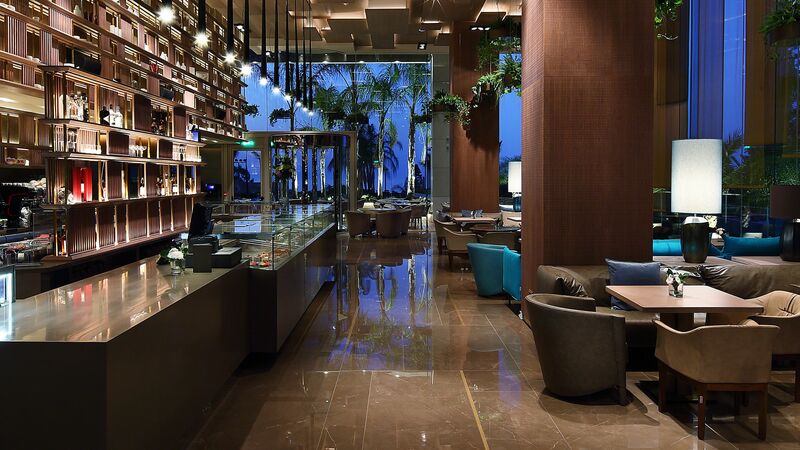 This trendy and modern café serves a range of light bites and snacks throughout the day, with exotic cocktails and fine wines offered in the evening. Dine by the pool or make the most of the home baked breads, cakes and more in the café’s bakery section. This colourful and Asian inspired restaurant offers guests a range of delicious Asian fusion cuisine. Choose from the fried lobster with ginger and spring onions or fresh dim sum options, including pork and fresh seafood options. No shorts are allowed in the restaurant and children under 5 years are not permitted. Guests who have booked the Dine Around option can enjoy a three course dinner. This modern Asian inspired bar offers a chance for guests to watch expert chefs at work as they create tapas style sushi options and platters. Oysters, caviar and sashimi are also available and are created using authentic Japanese techniques and delicious local seafood. 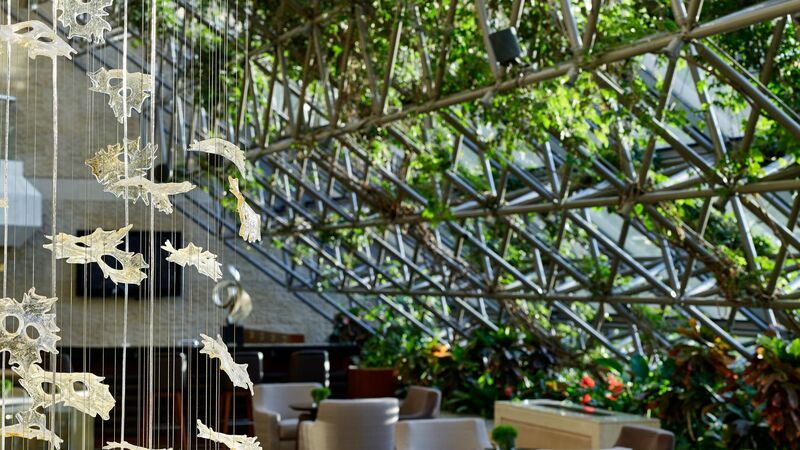 Enjoy the elegant atrium surrounded by lush flowers and plants as you relax, watch the big screen TVs or enjoy a cocktail, coffee and more. 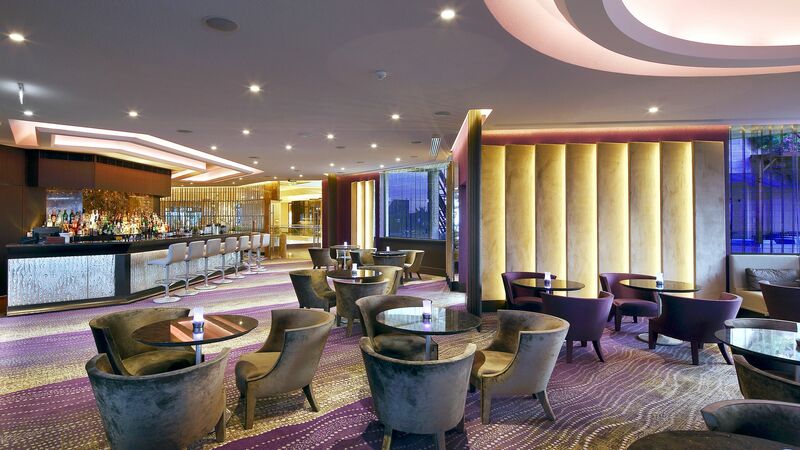 This trendy, modern bar is the perfect place to enjoy cocktails, wines, champagnes and pastries throughout the day. There is also an outdoor terrace where you can relax and take in the views of the Mediterranean as you enjoy sushi, oysters and shisha. Watch the experts at work as they create unique and traditional cocktails and serve fine wines, light bites and more. Located next to the adults only swimming pool, this is also the perfect place to enjoy the sun and views of the garden as you order sandwiches, salads and more. Take in the views of the golden sands of the beach as you choose from a menu of cocktails, spirits and wines, as well as salads, sandwiches and some light bites. 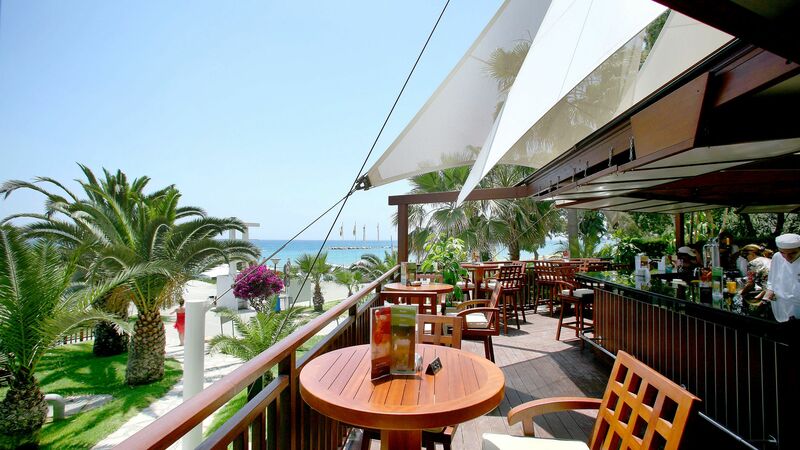 Lounger service is also available from the Four Seasons Hotel Limassol’s beach bar. Enjoy snacks, light refreshments, drinks and more at the Splash Bar, which is located next to the hotel’s main swimming pool. Lounger service is also available. The main outdoor swimming pool is surrounded by the pretty gardens and palm trees of the hotel’s lagoon area. There is also a kids’ swimming pool with slides, and an adults only swimming pool which is lit up with little lights by night. The indoor swimming pool is heated. 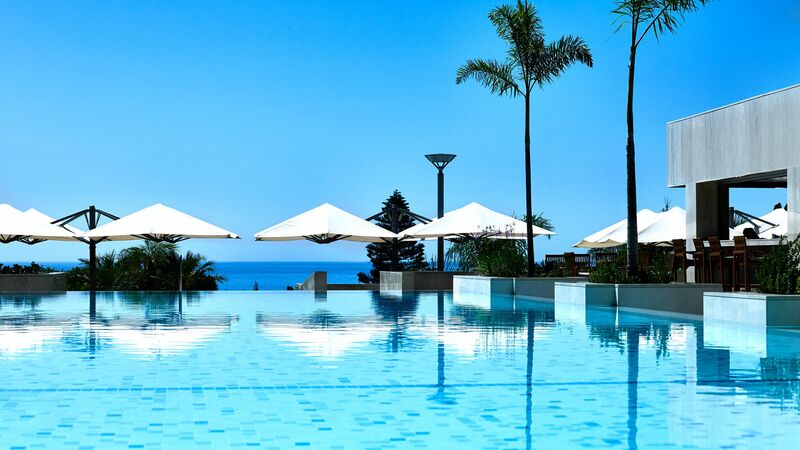 The Four Seasons Hotel Limassol is located right on the beachfront, making it the perfect place for those wanting to spend their days soaking up the sun. Water sports and a diving school are also available. 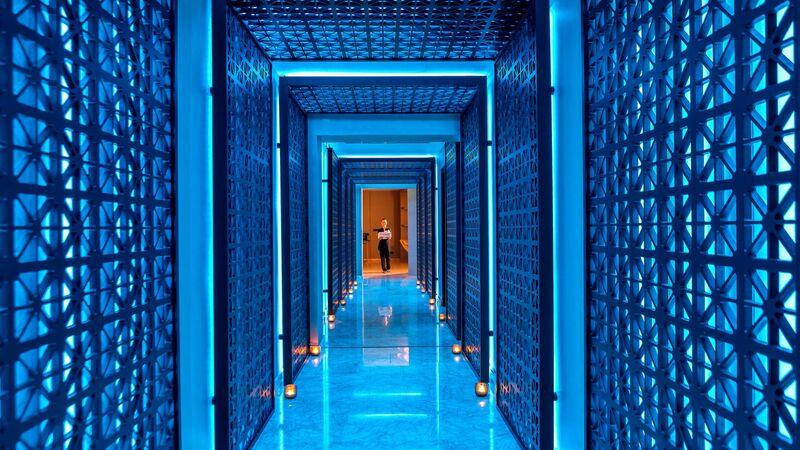 Immerse yourself in total relaxation from the moment you walk into the hotel’s spa. Choose from an extensive menu of treatments or relax in the sauna, two steam rooms or the ice room. Please note children under the age of 16 years are not permitted in the spa. 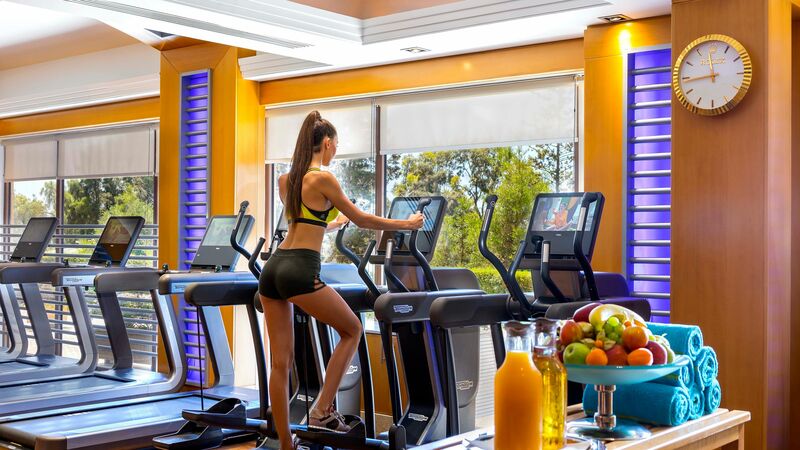 The Four Seasons Hotel Limassol’s gym has a range of cardio and weight machines, as well as air conditioning. Personal trainers are on hand and can design your perfect programme. The five star PADI scuba diving school is located on the beach in front of the hotel. Lessons and dives are run separately from the hotel and are available at an additional charge. There are two tennis courts with tennis racquets and balls available to borrow from the gym. Table tennis with free balls and bats are also available. Choose from a range of water sports and activities on the beach in front of the hotel. Windsurfing, sailing, water skiing and lots more are available. The service is run by an outside company. Activities are run throughout the day and into the evening, with something for guests of all ages available. Choices include a daily quiz, special meals for kids, fitness classes and table tennis competitions. 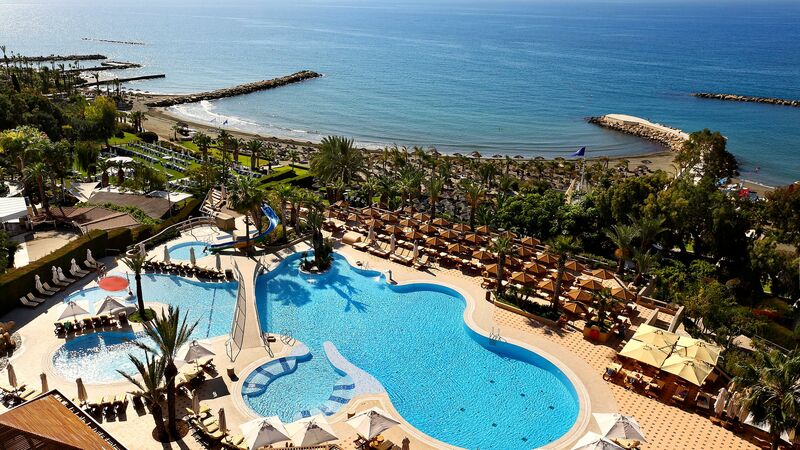 The Four Seasons Cyprus Hotel is located on the beach, in a quiet area of Limassol. The centre of Cyprus’ largest resort is just minutes away and offers activities and attractions for visitors of all ages. Spend the day relaxing on the golden sands of the beach or trying water sports including sailing, kayaking and more. Alternatively, explore Cyprus’ southern coastline with boat trips and excursions, stopping off in pretty coves for a picnic and snorkelling. In the town itself you’ll find historic streets with architecture dating back to the 19th Century, as well as Limassol Castle. Watch the world go by from one of the street side cafés, or pick up souvenirs and unique items from the many shops dotted throughout. 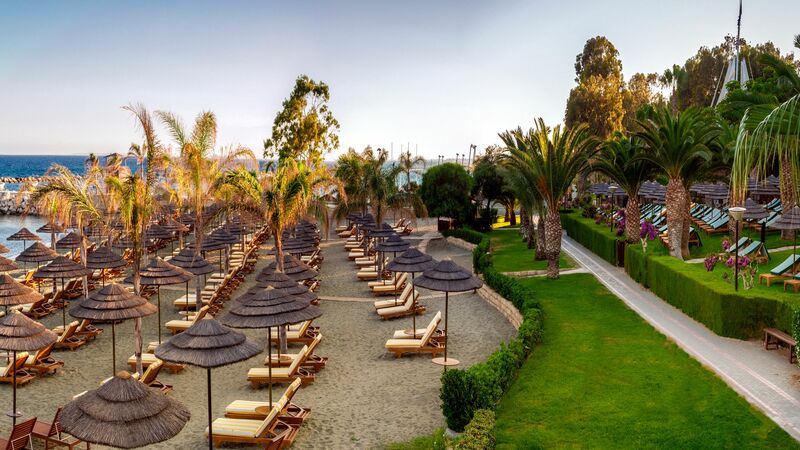 The Four Seasons Cyprus Hotel is a 40 minute drive from Larnaca International Airport. Superior Inland View Rooms are contemporary in design and offer comfort and space with modern smart room technology. All rooms feature either a king size or twin beds and a tablet that controls the lighting, temperature, curtains and the 'do not disturb' indicator. Facilities now include a Nespresso® coffee machine and Molton Brown® bathroom amenities. Superior Inland View Rooms come with either a balcony and smaller bathroom with walk-in shower, or a larger bathroom with walk-in shower and bathtub with no balcony. If you have a preference please indicate at the time of booking, however this request cannot be guaranteed. Superior Sea View rooms are as above but all rooms feature a furnished balcony with wonderful views of the ocean. Bathrooms come with either a walk-in shower or walk-in shower and bathtub. Family Rooms with Sea View are located on the 1st and 2nd floors of the main building. They have a sitting area with a double sofa bed, walk-in shower and separate bathtub and full sea views from the furnished balcony. They now also feature a Nespresso® coffee machine. Garden Studios are surrounded by the hotel's beautiful gardens in an area exclusively for adults (over the age of 18 years). Guests staying on the first floor have a private Jacuzzi® on the balcony. Additional services for guests staying in the Garden Studios include private check-in, complimentary pre-dinner drinks and canapés each evening, complimentary valet service for unpacking of luggage, complimentary magazine, daily local English newspaper, and a deluxe fruit basket replenished daily. Beach Studios Upper Floor are larger than Superior Rooms and have a walk-in shower and separate bathtub. Sea views can be enjoyed across the garden from the furnished balcony. Family Rooms with Sea View and Large Patio are contemporary in design and offer spacious accommodation for up to two adults and two children. The room comprises of a king size or twin beds and a double sofa bed that sleeps two children. The bathroom features a walk-in shower and separate bathtub and the large patio has a table and two chairs, private sunloungers and wonderful views of the sea. These family rooms are located on the first and second floors on the corner of the hotel. Family Beach Studios are located on the ground floor and have a private garden patio that is furnished with table, chairs and sunloungers as well as access to the gardens and beach area. They feature a king-size or twin beds and a sofa bed and the ensuite bathroom has a walk-in shower and separate bathtub. Garden Studios are surrounded by the hotel's beautiful gardens in an area exclusively for adults (over the age of 18 years). Garden Studios on the ground floor in the Garden Wing and have access to a private Jacuzzi® which is part of the river-like pool which runs along the private verandas of the ground floor level. Additional services for guests staying in the Garden Studios include private check-in, complimentary pre-dinner drinks and canapés each evening, complimentary valet service for unpacking of luggage, complimentary magazine, daily local English newspaper, and a deluxe fruit basket replenished daily. Junior Family Suites feature a bedroom with king-size bed, dressing table and spacious wardrobes, separate living room with a double sofa bed, bathroom with bath and built-in shower and a balcony with table and chairs. Spacious Family Suites Consist of a separate bedroom and living room with a sofa bed as well as a bathroom and an outdoor balcony or terrace. Two Bedroom Suites feature two bedrooms, separate living room and two bathrooms. Up to three children between the age of 2 - 13 years old receive a free upgrade to half board or full board when two full paying adults are accompanying the children for holidays between 25 April - 31 October 2019 (minimum of 5 nights stays is required). We had a totally relaxed, perfect stay and enjoyed every minute. It was a great experience! We were very excited about the service, our room, the restaurants, the kids animation - everything. We'll come back. Wow. Amazing facility, service,beach, everything. There is kindergarden for kids, and an outdoor playground. Staff. Is attentive and efficient. The hotel is spotless and beautifull.... ................ ...... ..
Our family of four stayed for 3nights and it was simply just so relaxing. Staff was super friendly and well trained. The room service was superb. Within a minute from the order on a tablet the staff calls you to see if the order was correct and within 7mins the food was ready in your room. The weather at the beginning of the season wasn?? ?t always sunny, so we have used the indoor heated swimming pool with the kids. There were plenty of things to do with kids, from building a sand castle to painting on stones and playing with a clown. Needless to say that every kids received a backpack with toys inside. Also the egg hunt with Ms. Daisy was great as well. Well done!